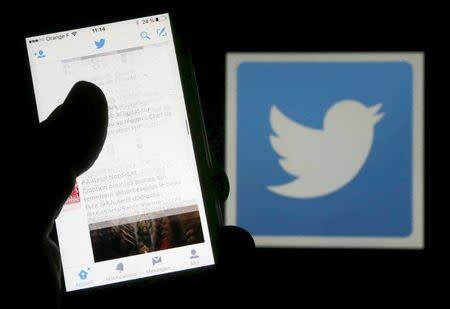 (Reuters) - Twitter Inc said on Tuesday that user names and media attachments such as photos and videos will no longer count toward the length of a tweet but the 140-character limit will remain. Twitter said the change, part of its efforts to simplify its microblogging service, will happen in the next few months. Twitter's stock touched a record low at $13.72 on Tuesday, while investor sentiment around Twitter stock plunged on social media, according to Reuters data. The length of tweets was originally designed to include a user's name and still fit within the 160-character SMS messaging format used for mobile phones. Additional changes include the ability to retweet and quote-tweet a person's own posts. Dorsey has said that the company, whose user growth has been stagnating, would simplify its product to attract new users. Links currently take up to 23 characters of a tweet, limiting the commentary that users can offer when sharing articles or other content. Many Twitter users took to social media to cheer the change. "Finally Twitter is making changes to its 140 characters limit," wrote Hungry Panda (@KyaChalRahahain). "Yes @twitter, that's what we're talking about!" tweeted Robbie Redfearn (@rredfearn32).